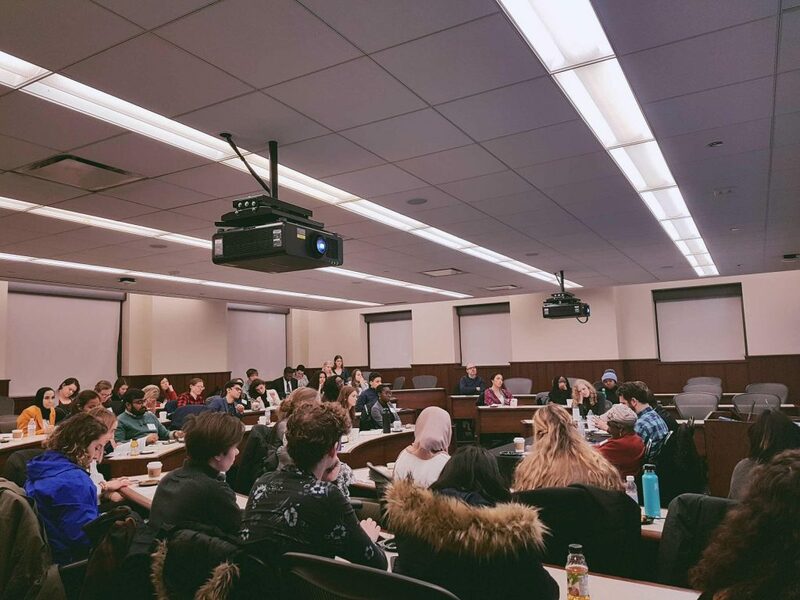 Each year, the Northwestern University Community for Human Rights (NUCHR) brings students from universities around the country together around a topic tangential to human rights. This year, the theme “The Right to the City: Mapping Human Rights in an Urban Landscape” explored urban design and development. My fundamental belief in the potential of cities with their dense populations and tangles of infrastructure to be productive, dramatic forces in the lives of their residents was what drew me to the conference in the first place. At the same time, having experienced Durham’s own radical growth over the past eleven years, I was also curious about life in urban spaces where development was a less recent phenomenon. These twin ideas stayed with me throughout the weekend and formed the lens through which I’ve processed much of the content. Most striking to me was the way the same stories echoed from conversation to conversation over the course of the weekend. Almost everyone I met, when asked about their home or college town, could describe the moment when a highway built. In each of these cases, the story followed a similar trajectory: the road was planned, community input was overlooked, poor and minority communities were demolished, and white residents followed the finished highway out of the city and into the suburbs. Delegates from Syracuse explained how the concrete foundations of I-81 were laid overtop the historically African-American 15th Ward; those from DC pointed to the destruction of neighborhoods in the southwest to make way for I-395; and I had in mind the path of 147, intentionally mapped through the heart of Hayti, permanently splitting the historically Black community in two. 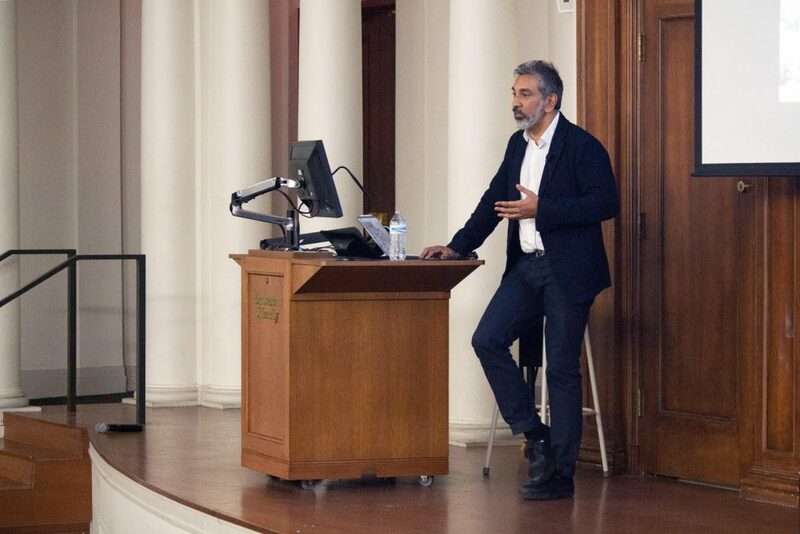 Vishaan Chakrabarti, the founder of the Practice for Architecture and Urbanism (PAU) a New York architecture firm gave the opening keynote of the conference, and he placed this history at the center of his talk. Arguing for a philosophy of urban development focused on the needs of people rather than the physical demands of cars, Chakrabarti traced the subsidies for interstate construction in the 1956 Federal Highway Act to the Civil Rights Movement when, in his words, the United States was forced to redefine its obligations to include those to all citizens. Rather than continue spending large sums of money on public works projects like housing, Chakrabarti contended, the federal government redirected its resources towards building roads that would safely guide white families out of the inner city and into the newly constructed, racial homogeneity of the suburbs. The highways were designed intentionally to pave over minority homes and businesses while sparing white economic power. Intertwined with the legacy of discrimination and divestment that followed, Chakrabarti argued that the introduction of highways into American cities spurred the rise of vehicle ownership and thus car centric urban design, as the emphasis in planning shifted from city residents to suburbanites commuting to jobs in urban centers. Gabe Klein, the former Commissioner of the Chicago Department of Transportation, alluded to the same history in his keynote on transit infrastructure, wherein he charted the abandonment and in many cases demolition of public transportation systems around the country in response to the construction of freeways. The location of the conference too gathered significance as I heard more and more about the interrelated realities of car-oriented urban design and racialized divestment, both of which stemmed from suburban development. Most of the weekend was spent in Evanston, a fully incorporated town nonetheless located in the suburbs of Chicago. I regularly watched students choose to pay for an Uber or Lyft even when near a CTA stop and for no other reason that the familiarity of a taxi-like exchange. Chicago traffic is notoriously congested, and the CTA from Evanston to downtown often takes no more time than driving. The ongoing consequences of 20th-century highway construction extend beyond the destruction of often thriving minority neighborhoods or the emphasis on car-friendly streets or continued pollution from fuel emissions. For those of us raised in communities where freeway travel was ubiquitous and car ownership necessitated, we are now the perpetrators of the injustices that took shape under the 1956 Act. We purchase cars or rely on ride-sharing services that in-turn drive demand for highways, often without much thought. True, these small actions are unremarkable if cities are accepted as they are, but they deepen in significance as we grow to understand the history that they reflect and the legacy that they carry forth. Above all else, I’m grateful to NUCHR for creating this space so that, perhaps, the understanding of this history might grow.